As a sculptor, Joseph Ginet searches for forms and surfaces in which asymmetry dominates. When he executes his artistic work, he doesn't miss. Only with the sensitive guidance of his tools (especially the chain saw) do the rough outlines of his wood sculptures gradually emerge. 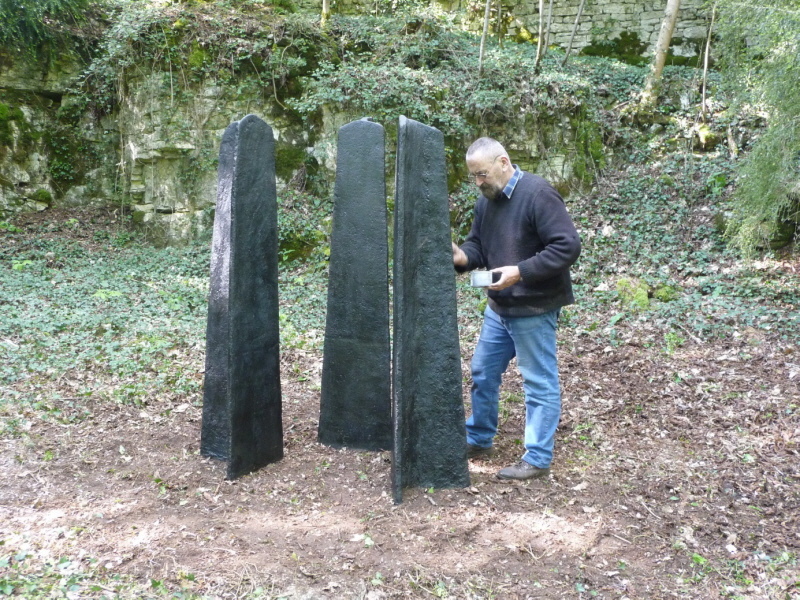 Meditative contemplations and subconscious feelings lead him to rework horizontal and vertical lines and shapes until the sculpture, with its subtle and living harmony, satisfies his inner emotions.